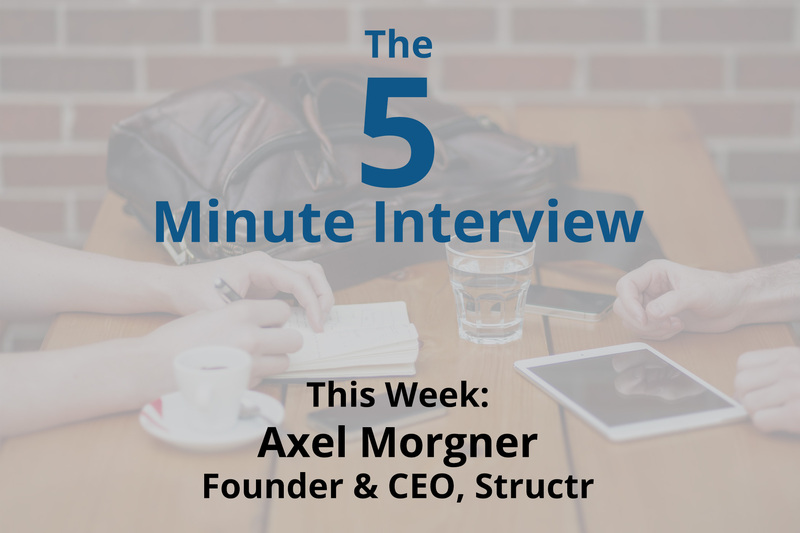 For this week’s 5-Minute Interview, I chatted with Axel Morgner, Founder and CEO at Structr in Frankfurt, Germany. I caught up with Axel at GraphConnect Europe last April. For people who may not be familiar, what is Structr? Axel Morgner: That’s the first question people ask us. We tend to say that Structr is a graph application platform that’s perfect for building graph-powered web and mobile applications in an integrated environment. It’s made up of three key components: a data modeling tool called Schema Editor, a REST API that’s automatically configured based on the custom schema model and an application or web page builder. You can create interactive web pages and connect them to web applications similarly to the way you can create a website in a content management system. Why did you choose Neo4j? What made it stand out? 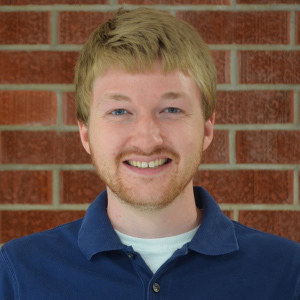 Axel: Around six years ago, I decided to create a new kind of content management system and needed to find a database that would be a better fit than Oracle, which was the database used by my former company. It needed to be embeddable in a Java application, which is really where Neo4j first stood out. For technical reasons, we ended up with a graph database and a graph data model because they’re the perfect fit for hierarchical data, which is the most common type of data in the content management arena. You have a series of hierarchies — whether they’re with pages or documents of photos — which are trees. And trees are, of course, graphs. So from a conceptual and technical point of view, Neo4j was the perfect fit. I think one — if not the most important — major draw was the Neo4j community. I had just had the chance to listen to a talk by Peter Neubauer in Frankfurt, and after the talk he just invited everyone over to chat. I thought that if everyone in this community was as welcoming, friendly and open as Peter, then it must be a good community. And it turned out to be exactly what I experienced in that first encounter. How is Structr used for enterprise data management and other similar use cases? Axel:As I said, first it was just content management, depending on how broadly you interpret the term “content.” Content can be any type of data that is more or less structured. It turned out that while creating the first version of a content management system, we discovered that you could use a graph not only for storing content-related hierarchies, but for arbitrary data as well. This is because the graph data model is so flexible and versatile. It was a natural evolution in our product development to extend the narrow scope of the content management system to any kind of structured and unstructured data. This is what finally led us to the area of enterprise data management, because we’re really addressing problems and issues experienced by large companies. By telling us their requirements, companies have pushed us in this direction. The good thing is we don’t have to give up any of our initial thoughts — like storing content — because Structr is still open to all types of data. It’s a lot of fun to see how we can transform enterprises into large graph systems. What have been some of the most surprising or interesting things you’ve seen in terms of client work or anything else related to Neo4j? Axel: There were certainly some “ah-ha” moments. For example, when we switched from the old system to the new Neo4j- and Structr-based system, there was an expert search that had previously taken a long time to perform simply because the underlying database wasn’t graph-based. People just couldn’t comprehend that the query was finished so quickly, because previously they had to wait at least 30 seconds. That was fun to see. In almost any project we do, another interesting experience for us is that if a client makes a request for a new feature or improvement, we can have it done within a day. In the morning, our end-users can tell us about an idea for a new feature or software improvement, and after discussing the implications of this change, we can start testing by that afternoon. We can implement that change by the end of the day. It’s a completely new paradigm for application development in an enterprise because people are not used to getting results that quickly. It’s really fantastic. Sounds like it really fits well with the agile-development approach. Axel: Exactly. On the data model, business logic and user interface levels. Axel: I would like to say thank you to the community and official Neo4j team for making it possible to be here as a partner and a sponsor. In the meantime, it’s just great fun every time we are at a GraphConnect because the technology is a perfect fit and the community is great. I hope to grow with the market and the community and, of course, with Neo4j. We’re really happy with it. Already know and love Neo4j? Demonstrate your professional expertise with an official Neo4j Certification. Take the exam and you’ll be Neo4j-Certified in less than an hour.